Home › Energy-Efficient LED Lighting › Lightstory Led Edison Bulb G14 E26 Base 2700K Dimmable Globe Decorative Led B..
Lightstory Led Edison Bulb G14 E26 Base 2700K Dimmable Globe Decorative Led B.. Style:G14 1.8W=25W (6 PACK) LIGHTSTORY Filament LED G14 - 25 Watt Equivalent(1.8W) Soft White (2700K) LED Light Bulbs 6-PackEvery light has a story. Wefocus on offering you the best lighting experience. Only premium LED lightsand excellent optical designs are adopted. 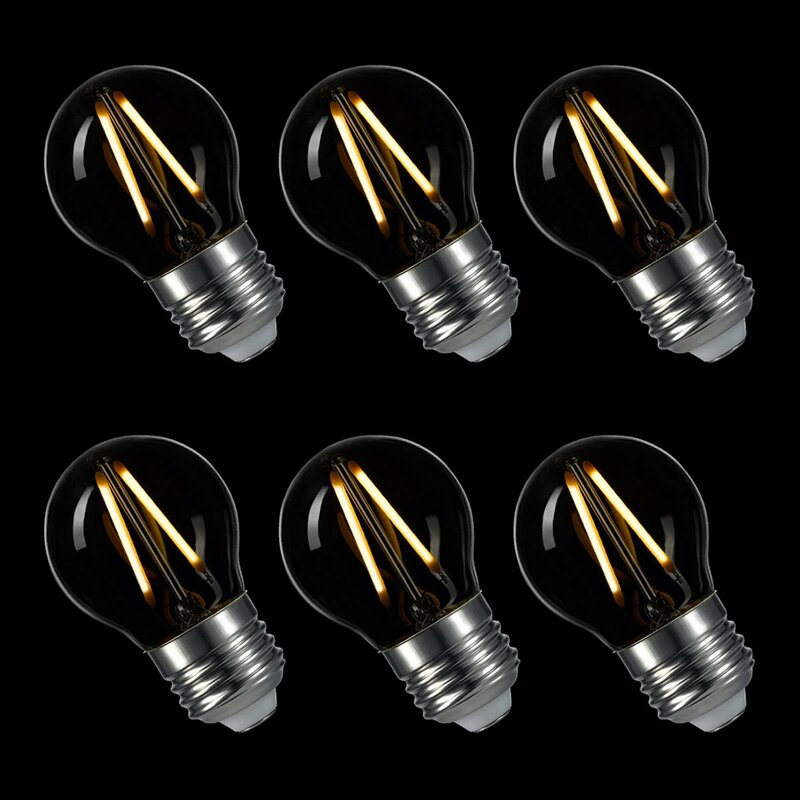 The Led Filament Bulb is aninnovative light bulb which makes good combination of the new LED and vintageincandescent bulb technologies. Better than Ordinary LED The LED filamenttechnology offers a 360 degree beam angle light pattern which the ordinary LEDbulbs can't. The bulb uses a clear glass bulb, unlike most LED lights, so itis just like an incandescent bulb. The true warm white light that is styled tolook exactly like one of the very old incandescent bulbs makes you relax. Ifyou have been turned away from upgrading to energy saving light bulbs by theway they look, these innovative light bulbs probably change your mind. AtLIGHTSTORY, we understand. That is why our products are designed to look likeeveryday use incandescent light bulbs. Big Savings LIGHTSTORY LED filamentbulbs are the perfect energy saving replacement for standard incandescentbulbs and will drastically reduce your energy bills while providing the samelight quality. These bulbs' power consumption is lower than most of theordinary LED bulbs and the yearly cost to operate is minimal. Easy to InstallAs easily as installing the ordinary incandescent bulbs, you can replace theold bulbs in a few seconds. All the LIGHTSTORY LED Filament Bulbs come withstandard medium screw E26 or the E12 base.